Rarely Offered! 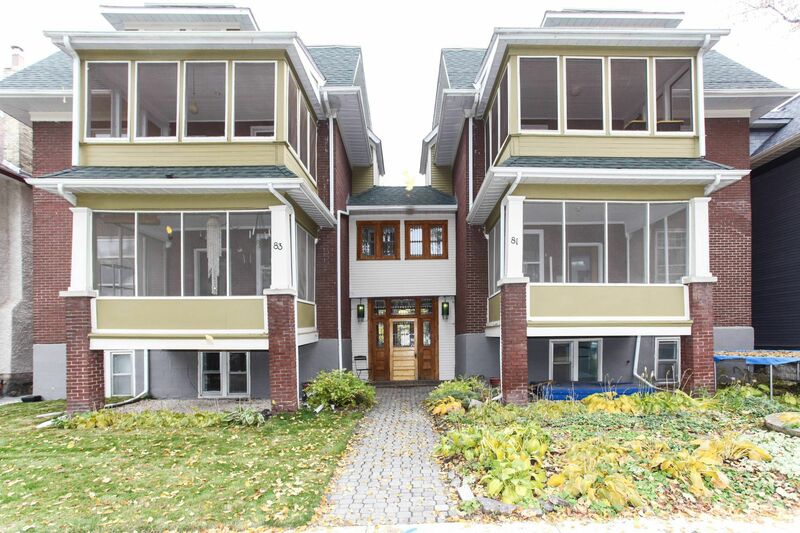 Large Character Condo in a Prime Wolseley Location! 3 Bedrooms + a Den & 2 Full Baths! Living room & Dining room with oak trim, hardwood floors, pocket & french Doors. Eat-in Kitchen with a door to outside Balcony/ Deck, great spot to sit & BBQ. Stunning Open Upper Level Greatroom/Familyroom with a wall of windows with great natural light, also a door to access rear staircase/Balcony and a wet bar area. 1 Parking Stall & visitor parking. Condo fee $450../mth includes: Heat, Water, Insurance common area, landscaping & snow removal.